The income that insurance companies registered in Shenzhen receive from providing international shipping insurance services to corporations registered in Qianhai is exempt from business tax. The income of corporations that provide offshore and outsourcing services is exempt from business tax. Modern logistics corporations that are registered in Qianhai and meet specific conditions can receive different business tax benefits. 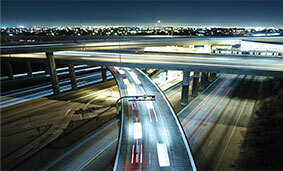 An evaluation standard for technically advanced service corporations is being improved. Corporations that have passed the evaluation can enjoy a corporate income tax rate of 15%. In addition, employee education and training expenses that do not exceed 8% of the corporation’s total salary can be deducted pre-tax. The city of Shenzhen, where Qianhai is based, is one of the most active regions in the Pearl River Delta and mainland China for economic development. Shenzhen’s total aggregate economic output ranks in the first tier among cities nationwide. In fact, Shenzhen boasts the highest totals in the following categories among major Chinese cities: GDP per capita, foreign export volume, number of patent applications and number of patent ownerships per capita. Its robust industrial base provides a large number of business partners and enormous market opportunities for corporations that decide to invest in Qianhai. 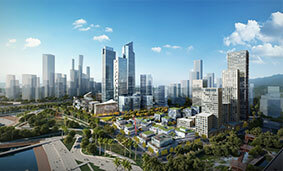 Among Fortune Global 500 corporations, 180 have set up offices in Shenzhen. Relying on the innovative spirit of Shenzhen, Qianhai will seek institutional and support innovation. It has already become one of the most open national industrial development zones with the most innovative support mechanisms, the most room to explore new policies, the most potential for industrial development and the most supportive policies. The Authority of the Qianhai Shenzhen-Hong Kong Modern Service Industry Cooperation Zone (hereafter ‘the Authority’) is China’s first statutory institution. It has municipal administrative authority with independent planning status to approve non-financial industrial projects. Based on the principle of ‘full authorisation and close operation’, the Authority provides one-stop service and creates a service management institution that is fair, transparent, efficient, clean and honest. The Qianhai Development and Construction Inter-ministerial Departmental Joint Meeting Mechanism falls under the commission of the State Council and was initiated by the National Development and Reform Commission, 24 ministries and commissions at the state level. The Guangdong Provincial Government, Shenzhen Municipal Government and Hong Kong SAR Government are all involved in this supporting state policy platform. This creates a strong momentum among state-level departments and local governments in advocating the development of Qianhai as well as establishing a national platform, led by the State Council, so that Qianhai can develop and open up. The Qianhai Cooperation Zone Advisory Committee (hereafter ‘the Committee’) is an important body that coordinates with the Qianhai Development and Construction Inter-ministerial Joint Meeting Mechanism. 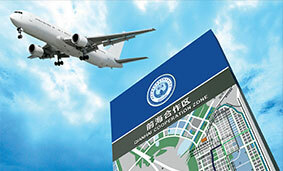 The Committee provides an important platform that offers advice regarding Qianhai’s development. The Committee comprises well-known and influential figures from key industries from the mainland and Hong Kong. 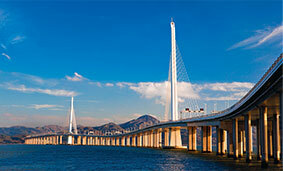 The Committee plays an important role in developing and opening up Qianhai. Situated at the major development axis of the Pearl River Delta region and the coastal functional expansion zone intersection, Qianhai is close to both airports in Shenzhen and Hong Kong. The Shenzhen-Zhongshan cross-river corridor, the Shenzhen Western Port Area, the Shenzhen North Train Station and the Guangzhou-Shenzhen Yanjiang Highway all go through Qianhai. Qianhai is within a one-hour commuting radius of the Pearl River Delta and is within a half-hour commuting radius of Hong Kong. Enjoying a significant strategic location in Guangdong Province, Qianhai can easily be reached by air, land or sea. It possesses outstanding overall transportation advantages. Utilising the geographical advantage of close proximity to Hong Kong, Qianhai will play an important role in strengthening the partnership between Shenzhen and Hong Kong. By following international business practices that are already in place in Hong Kong, Qianhai will create a fair, transparent, efficient, clean and honest business environment. Hong Kong will play a unique role in opening up Qianhai. Within the partnership framework between Guangdong Province and Hong Kong, Qianhai will help industries from both Guangdong and Hong Kong to complement one another and foster an environment that is conductive to economic development and social harmony.